Dr. Glenn Koh graduated the medical school from the National University of Singapore FOM and completed his residency program at the Easton Hospital. He is specialized in General Surgery and board certified in Surgery. 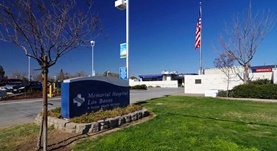 Dr. Glenn Koh has been in practice for more than 11 years and is affiliated with the Memorial Hospital Los Banos. He is able to operate on people in order to repair or remove the damaged tissue.